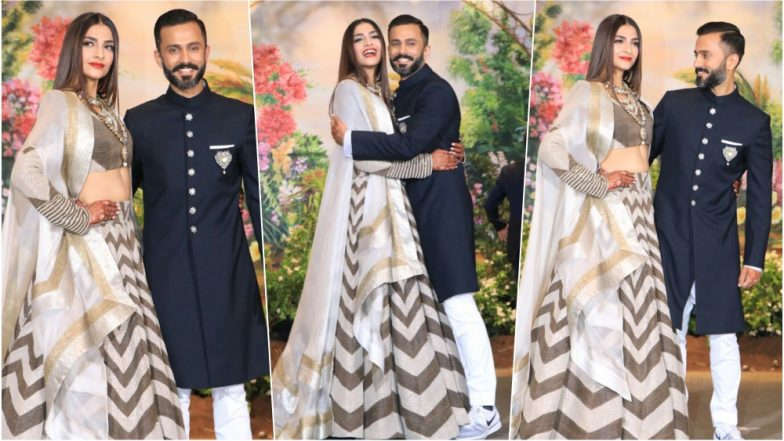 The wedding of the year came to a grand end with a star-studded reception to celebrate the beautiful alliance of Sonam Kapoor and Anand Ahuja. 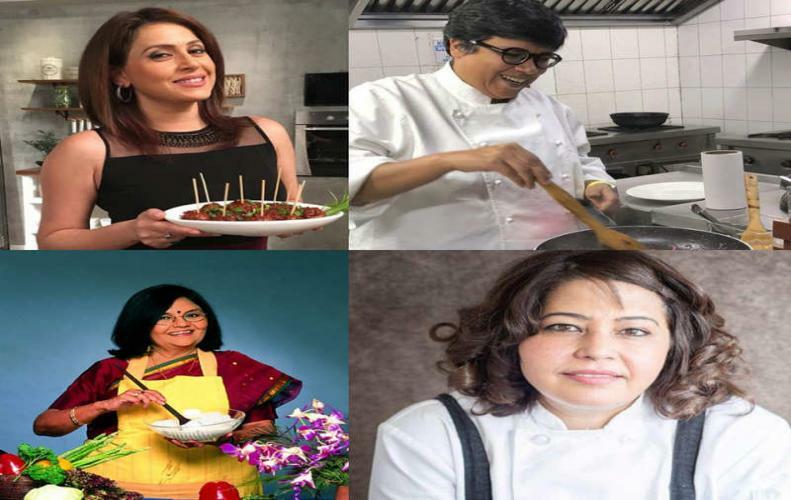 No prizes for guessing, it was the grandest bash Bollywood has witnessed in years. 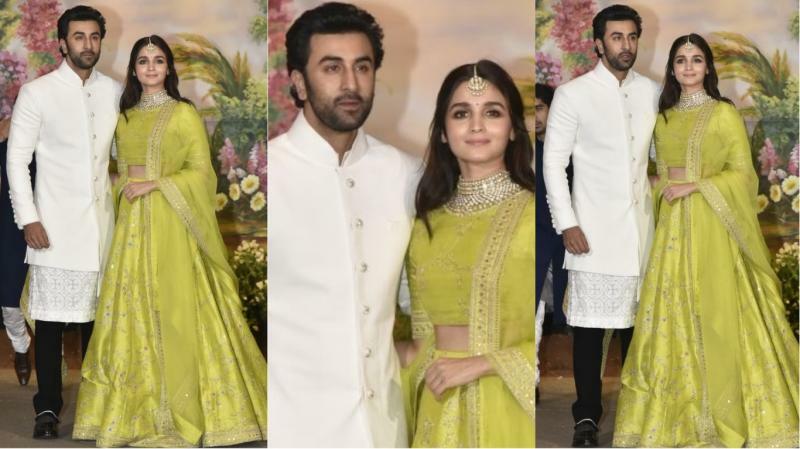 Well, with Shah Rukh and Salman Khan crooning away to glory and Arjun Kapoor and Ranveer Singh breaking the dance floor along with the groom, the party became a topic of discussion all across social media. The groom looked dapper in his custom-made black sherwani paired with white churidars. He finished the look with a royal brooch and Nike trainers, yes you read that right! 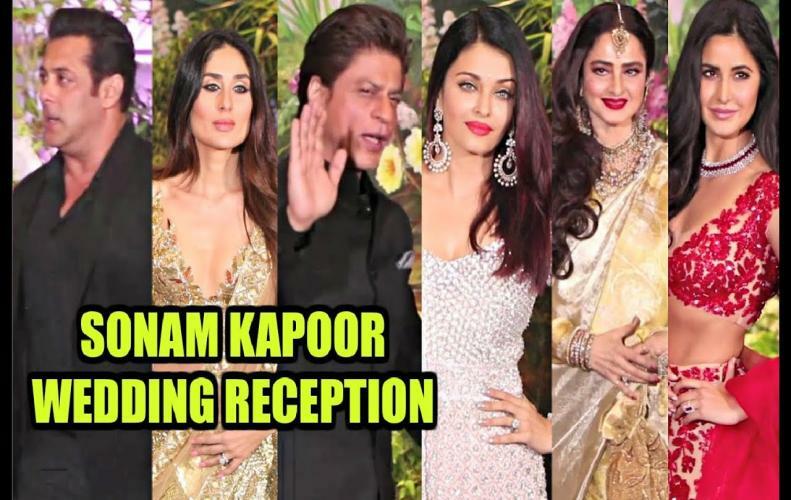 Kareena was the shiniest guest at the party as she slayed in blingy sequined custom-made Manish Malhotra lehenga-sari. 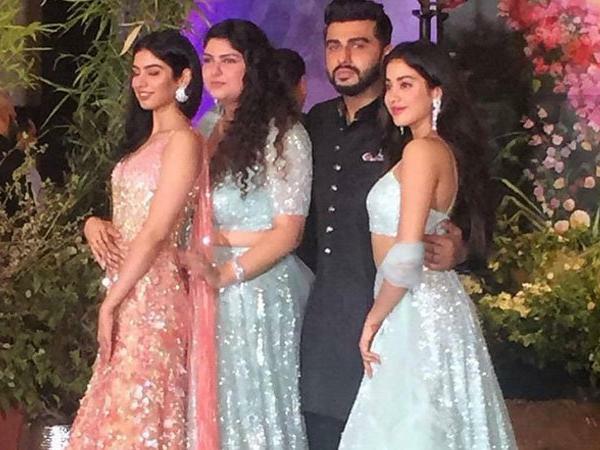 Janhvi Kapoor looked elegant in a shimmering Manish Malhotra pastel lehenga bedazzled with embellishment work. 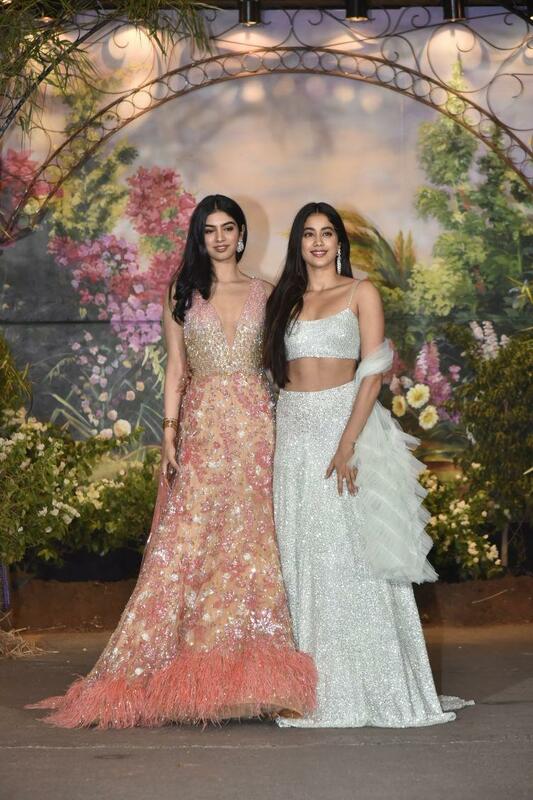 Khushi Kapoor showcased shades of summer as she donned a shimmering Manish Malhotra pastel lehenga with feather detailing. The man who went black and white and never went back. And thank god. 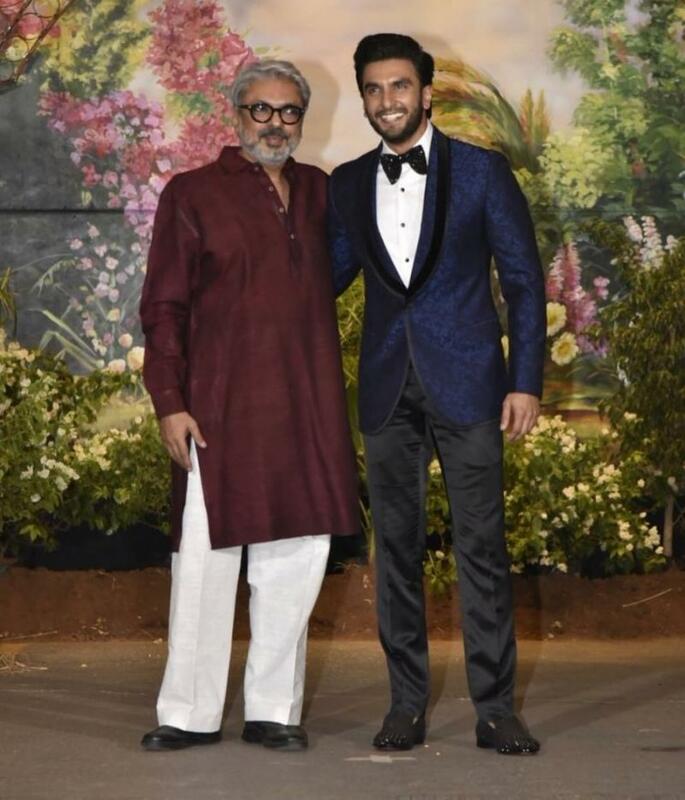 The Kapoor who's now (allegedly) dating this Sabyasachi-clad A-lister. Beware of Mahesh Bhatt, we'd say, Ranbir. Trust the king to nail another menswear-outing. Going all-black has never looked this good. Big ups for Sidharth Malhotra, for doing what most couldn't do with a neutral colour. The ever-giving Black as we'd like to call it, hasn't looked better in recent times. 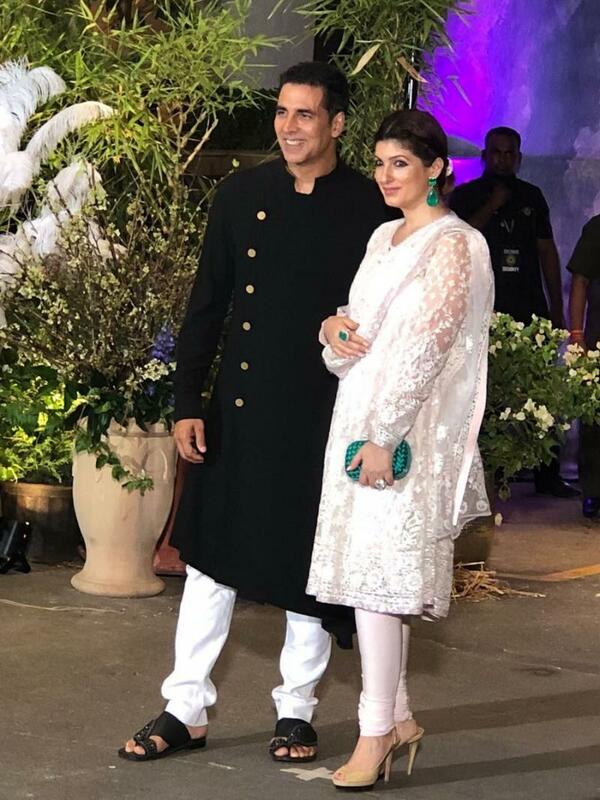 Doing the combo of B&W complete justice, Khiladi Akshay Kumar was a plain nail alongside his wife Twinkle Khanna at Sonam's wedding reception. Shahid Kapoor looked sharp in a beige asymmetrical kurta clubbed with black pants. 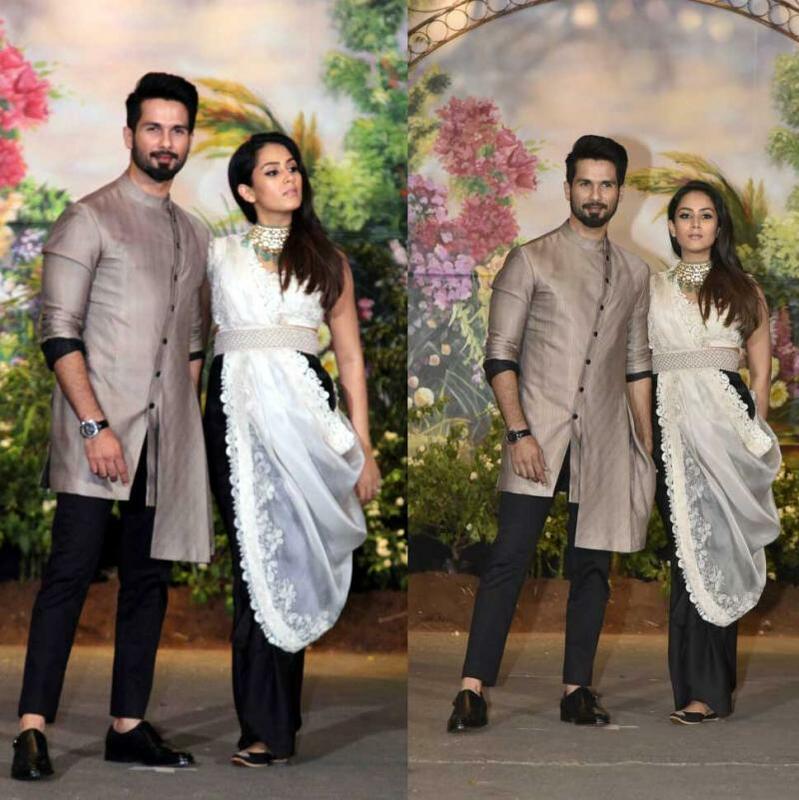 Mira Rajput Kapoor, who was glowing thanks to her pregnancy looked lovely in an Anamika Khanna outfit. For the wedding reception, Kangana wore a pastel-pink coloured sari gifted by her sister, Rangoli. 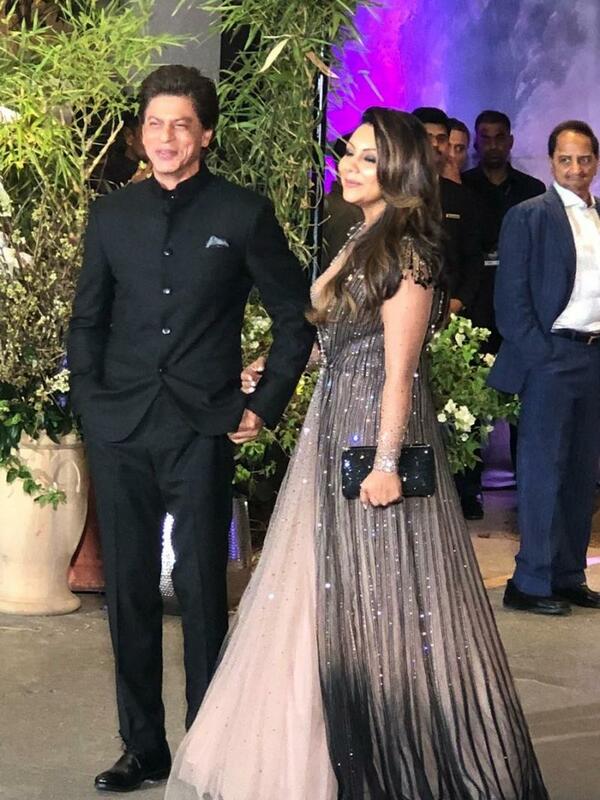 She accessorised the look with a ruby and diamond choker and looked every bit elegant.